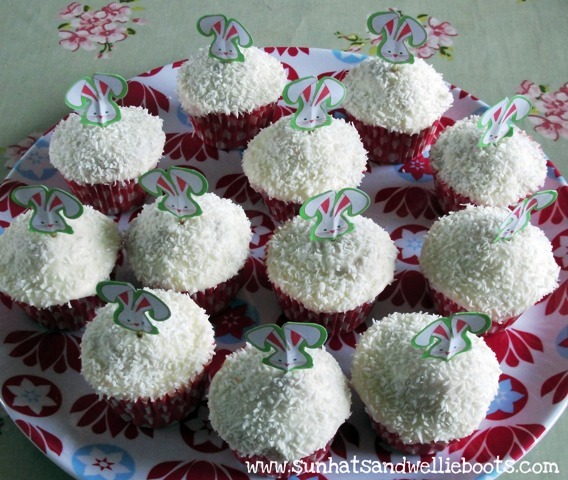 These cute little Easter Bunny Buns were super simple to make & went down a treat at a recent party. To make them we used a basic sponge recipe; 8oz self raising flour, 8oz soft butter, 8oz caster sugar & 4 eggs which we beat together, added to muffin cases & baked for 15-20mins at 180˚c. 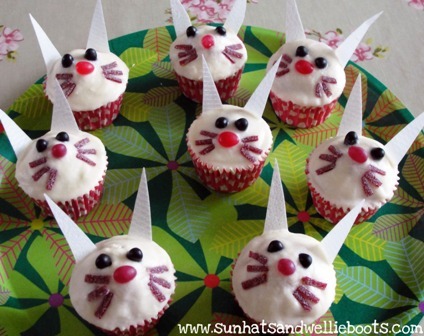 For our bunny decorations we made up a batch of icing (soft butter, icing sugar & a little milk) & spread across the top of each cake. 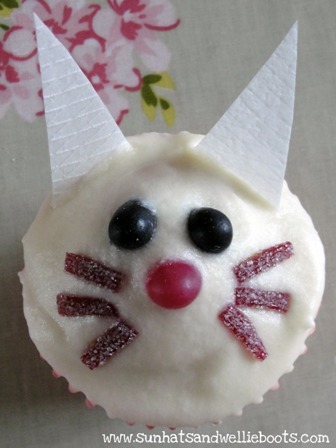 For the eyes & nose I used jelly beans (cut in half), & for the whiskers I cut thin strips of fizzy rainbow sweets. The ears were cut from a sheet of wafer paper & gently placed in the wet icing & set aside to dry. 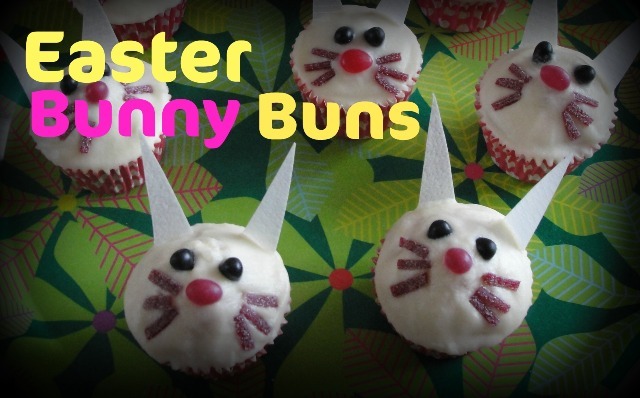 Here are our finished Easter Bunnies ready to 'hop' off to the party! 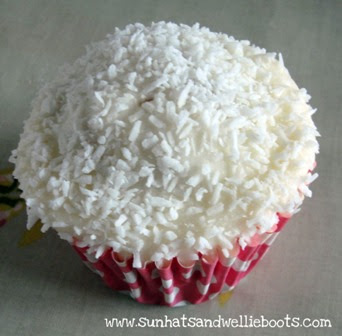 To go alongside our Easter Bunny Buns we made these Fluffy Bunny Tails, made in the same way as the buns above, but with a covering of dessicated coconut over the icing. We added a few bunny cake toppers that we picked up from Hobby Craft to decorate the bunny tails, & our cakes were ready to go!